For information on Artiza Networks’ latest generation of LTE-A eNodeB testers, visit our DuoSIM-Advanced page. Artiza hardware is based on ATCA platform (Figure 1), the preferred platform for almost all of the major wireless carriers. 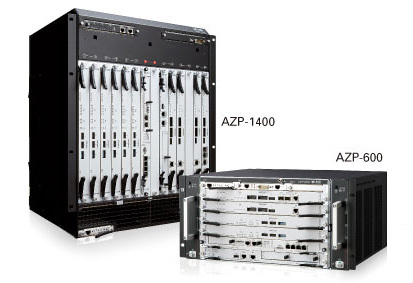 A series of powerful hardware, Baseband Blade (Figure 2), sRIO (serial Rapid I/O) Switching blade, and DSP Array Blades/Submodules in ATCA Platform, the AZP-600/1400. Altogether, the tester hardware enables user to achieve maximum capacity of 1,000 UEs/sector, and meets C-plane and U-plane traffic generation requirements. 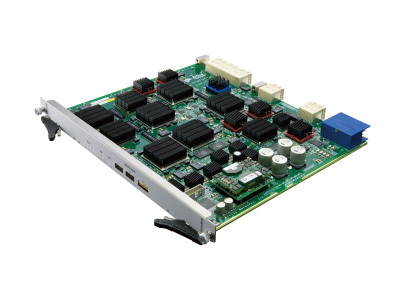 Artiza’s original Baseband Blade and DSP Array Blade consist of high density FPGAs/DSPs processing baseband and protocols with high performance. With the special blade hardware design, the LTE Tester has the full control of baseband processing, especially for PHY/MAC layers testing, which is one of the most important factors for LTE eNB performance. With DuoSIM, the blade-oriented hardware architecture, where four blades enable one set of Wrap-around Testing configuration, allow users flexible testbed configurations to meet various vendor’s requirements, such as capacity, performance, and number of sectors.